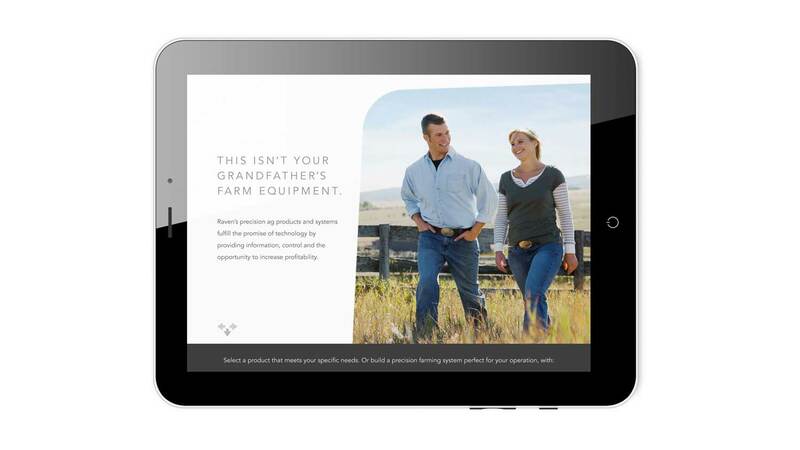 Defining the brand and clarifying the message. 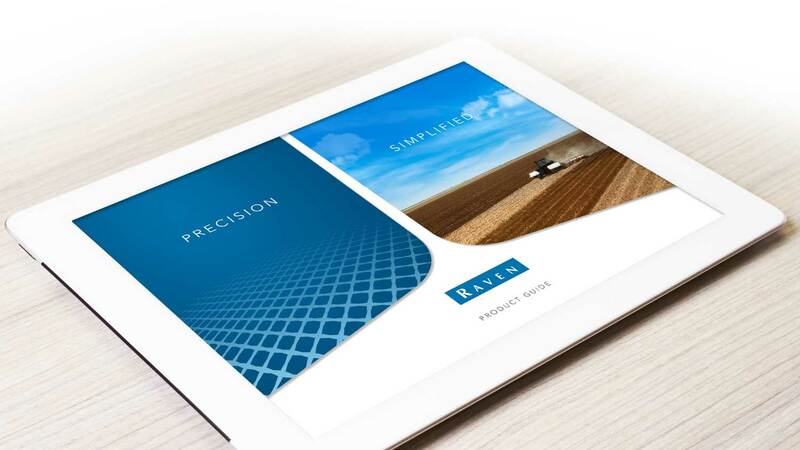 Raven competes in the crowded precision ag market, where communications from all brands tend to be highly complex. Paulsen helped Raven define itself and its products as simple to use. 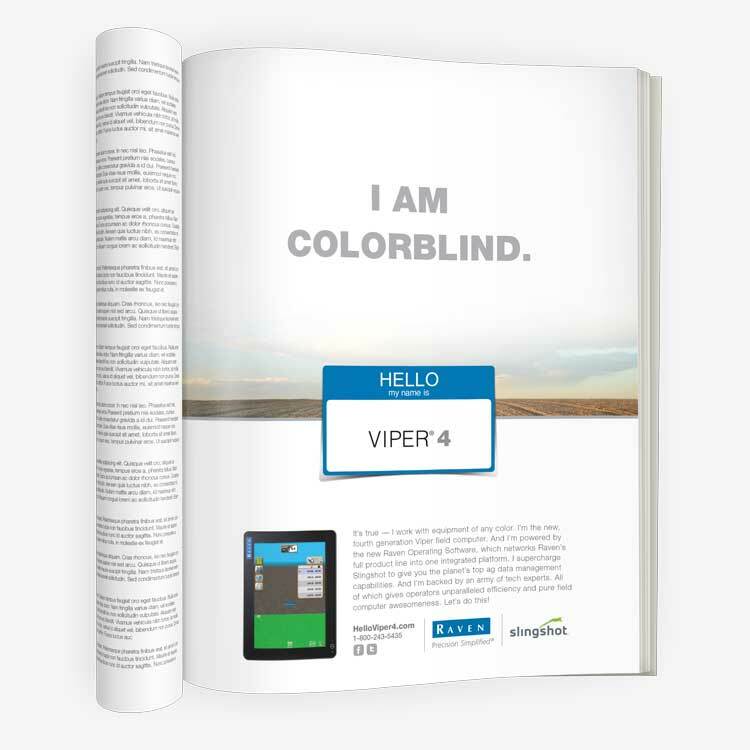 This position is supported by the brand’s outstanding features: Connectivity, Compatibility and Customer Service. 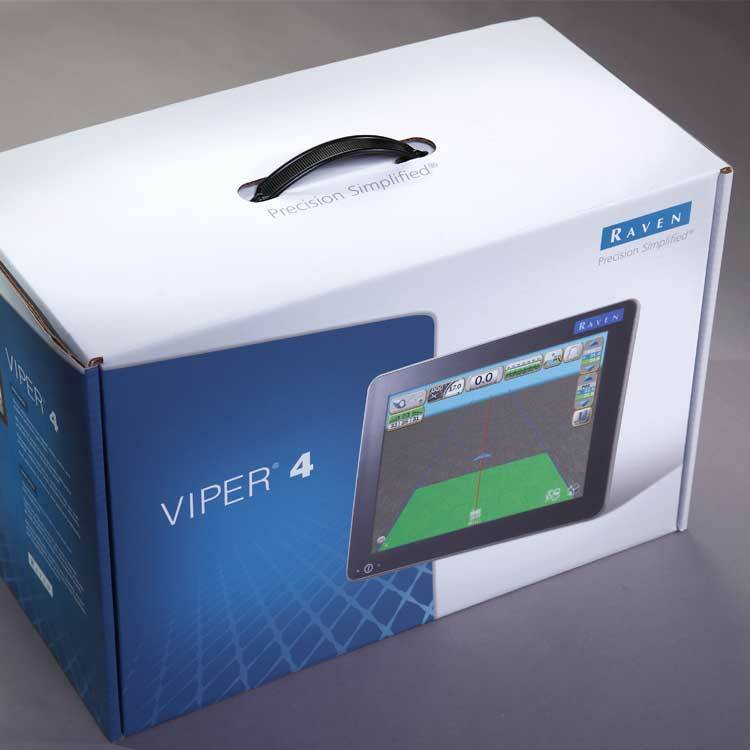 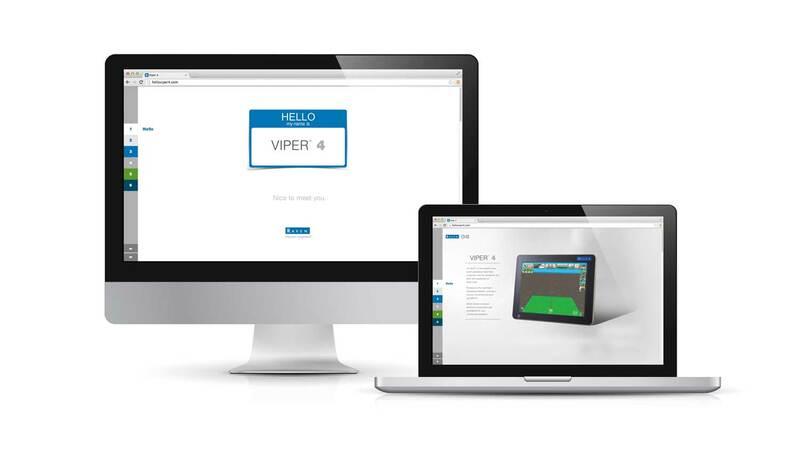 Paulsen helped with Raven’s launch of Viper 4, an updated field computer for the ag retailer market. 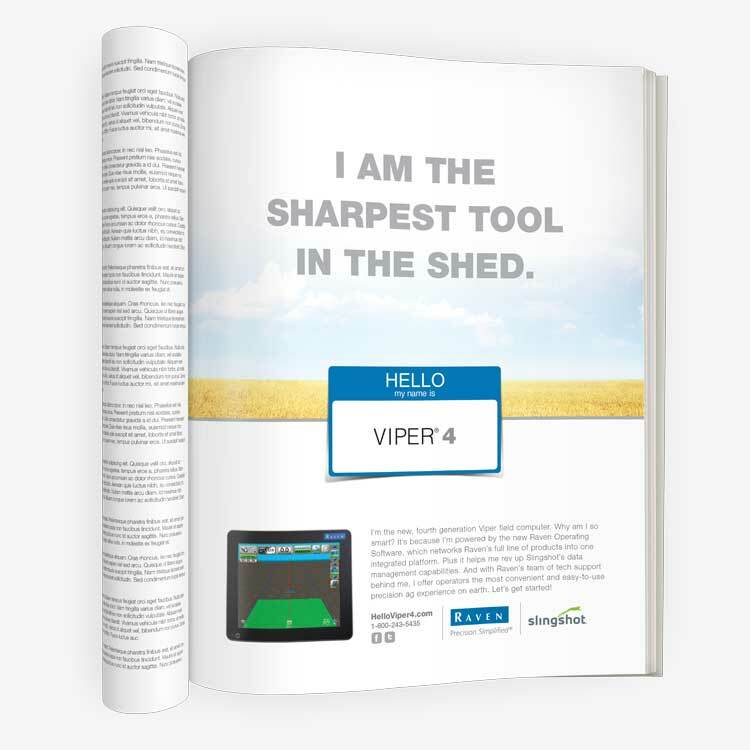 The campaign was designed to convey the product’s simplicity and to give this highly technical product a friendly, accessible voice. 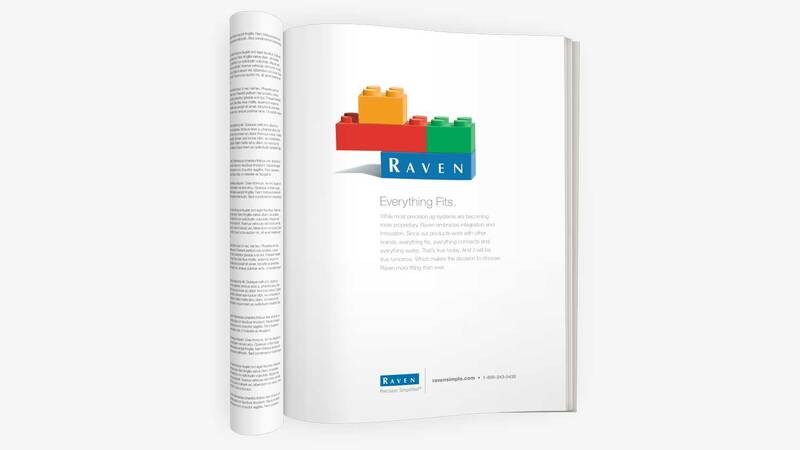 Paulsen created an expandable banner ad for Raven for a select number of targeted sites. 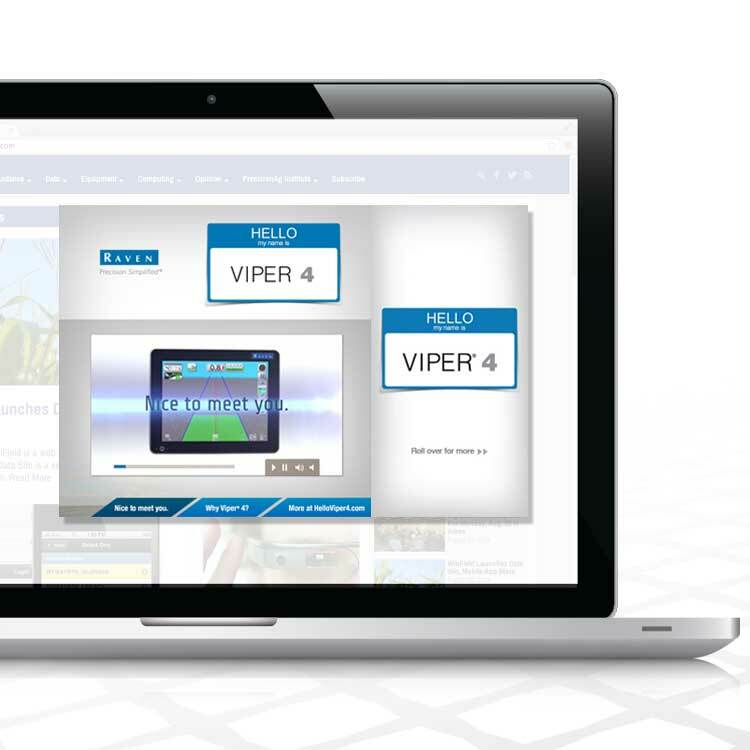 It contains multiple tabs and includes new product information and a video, allowing for a more in-depth, yet immediate, user experience. 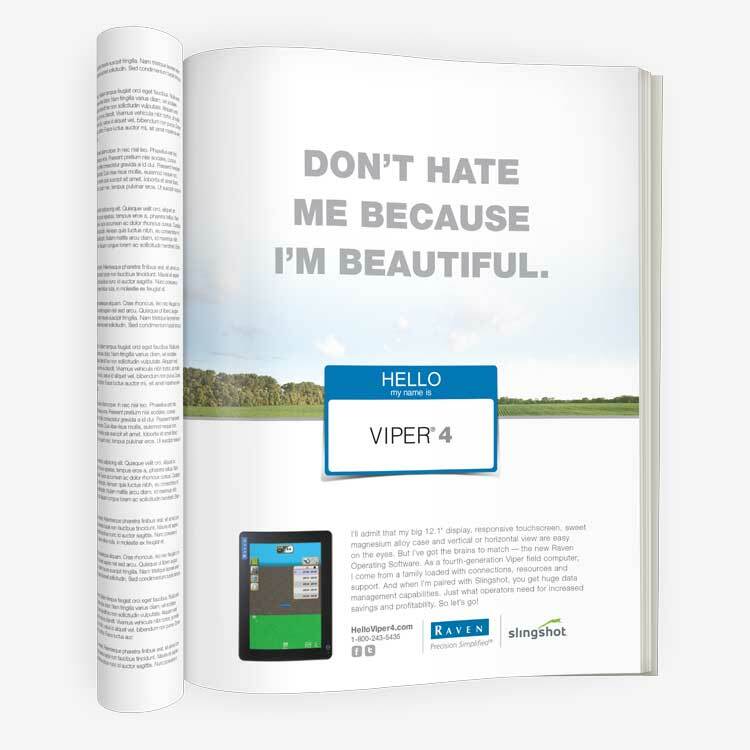 Click-through rates were as high as 1.62 percent. 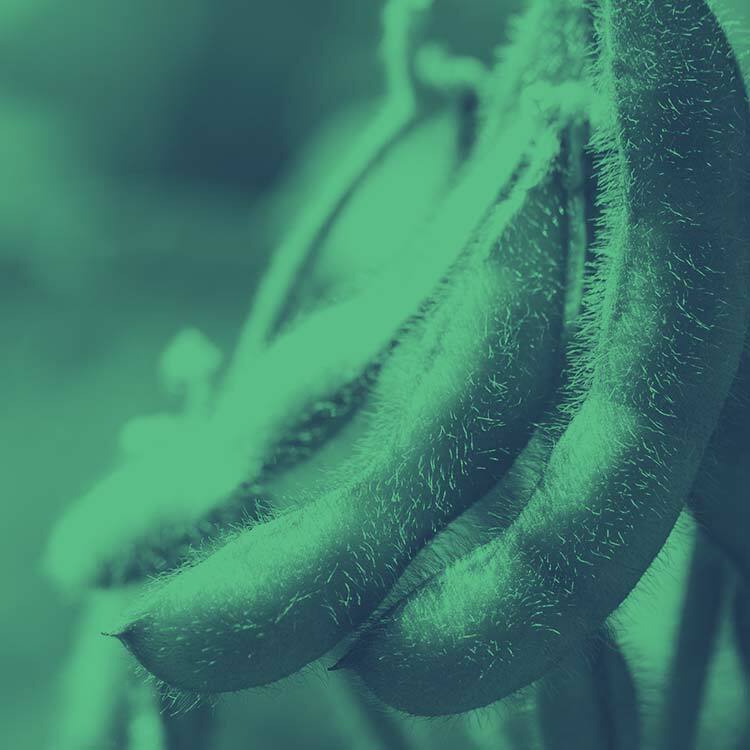 "The team at Paulsen does an amazing job of helping us not only grow our brand through a variety of tactics, but in implementing strategies that contribute to the sales growth initiatives we have each year." 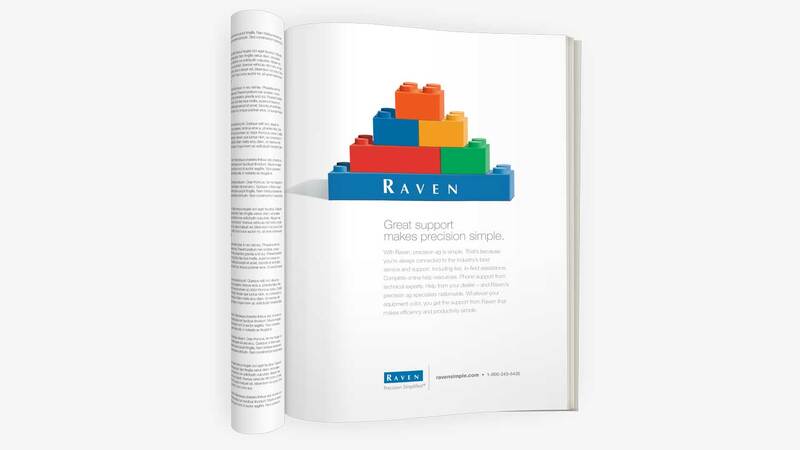 Paulsen created a print product guide for Raven. 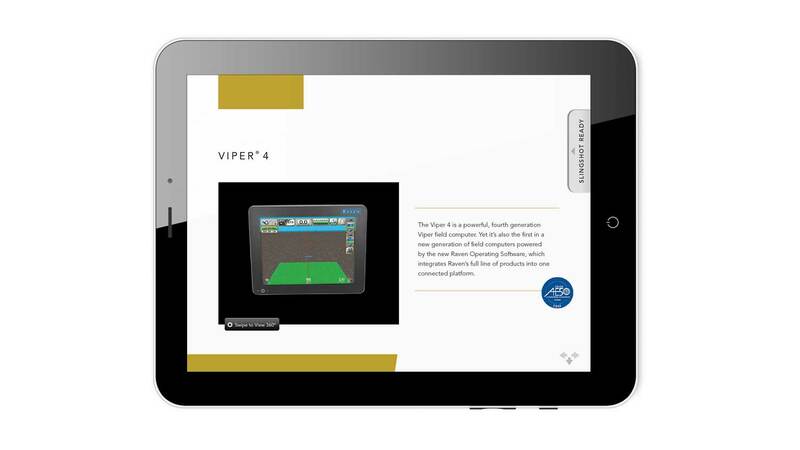 We then turned the piece into an iPad app, with 3D animation and video. 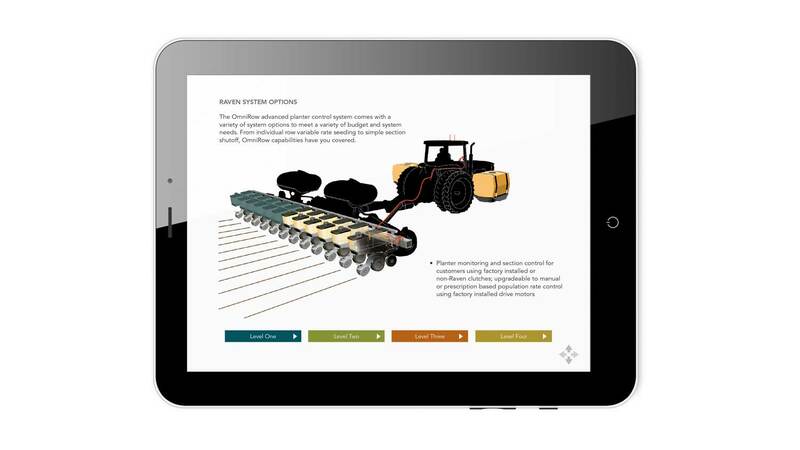 This interactive product guide is now available in five languages. 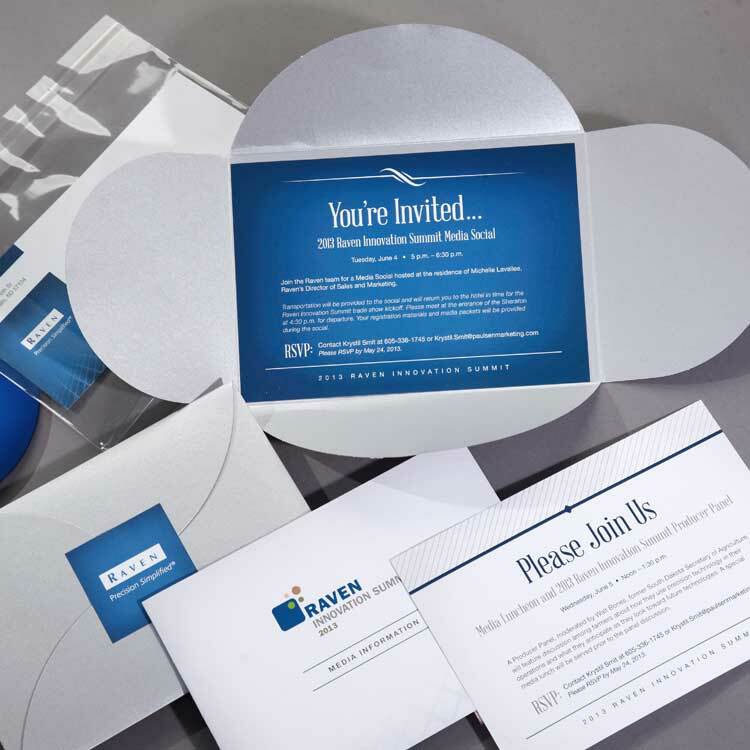 "Paulsen listens and understands our business, our company and the market we serve, and continually brings innovative ideas forward that help separate us from our competition." 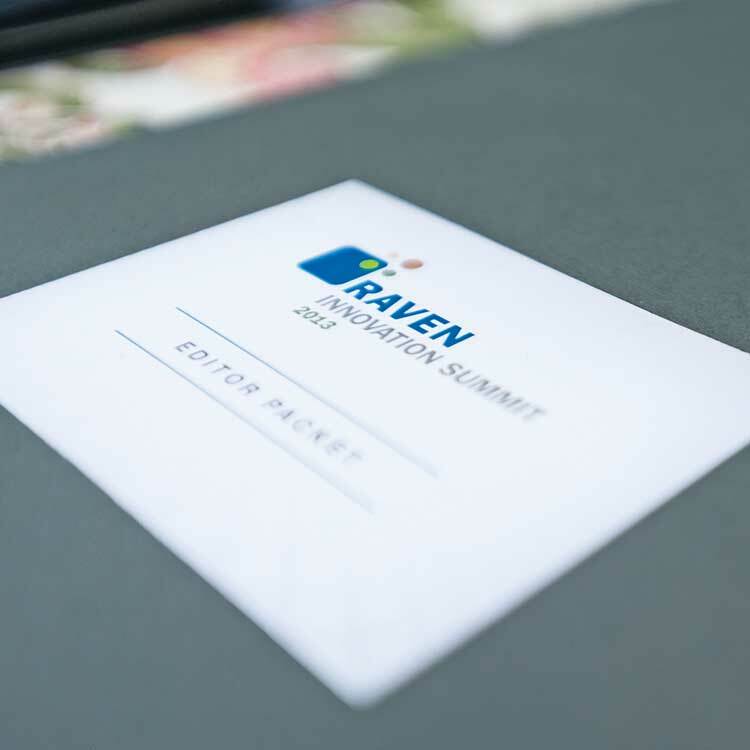 Paulsen created and executed a multi-faceted PR program for Raven’s annual Innovation Summit. 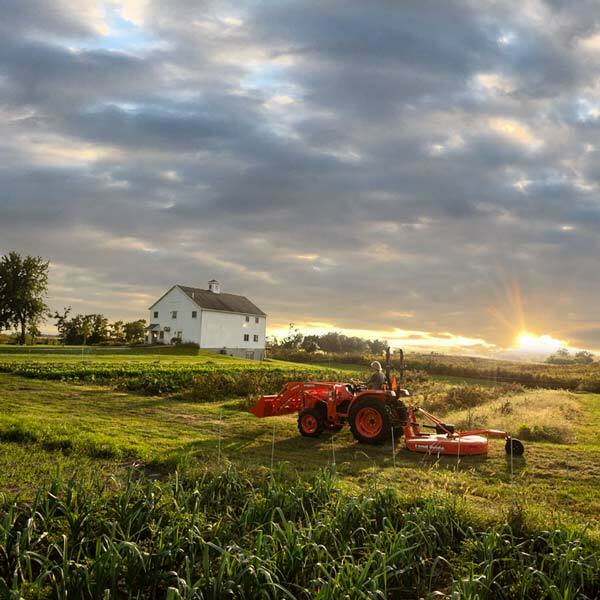 The effort targeted ag industry, state and regional media editors and broadcasters and included a video invitation, personal contact, special press events, packets, welcome baskets and notebooks, a producer panel, event photography, follow-up and monitoring. 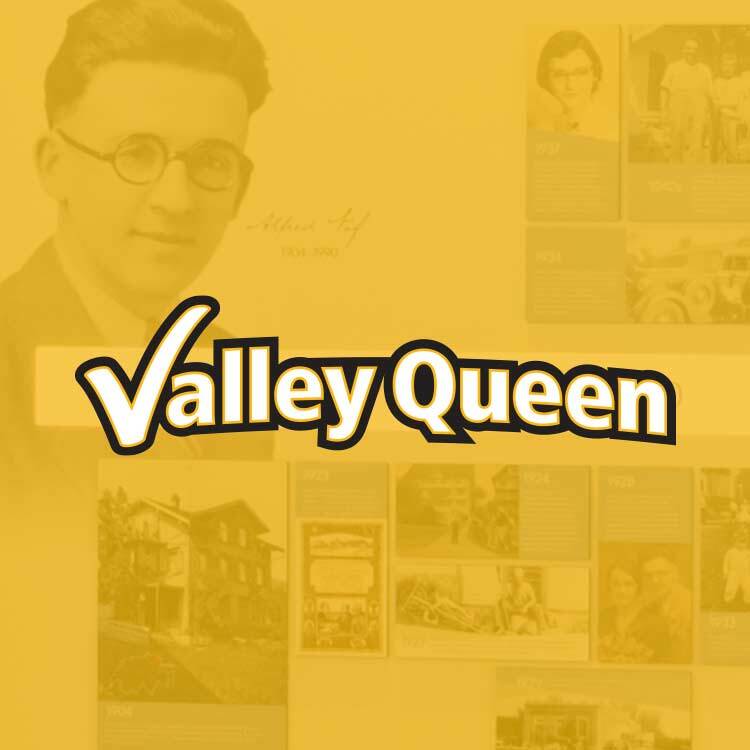 Fourteen industry print publications, three agricultural radio stations and two of the state’s leading TV stations covered the event.